Dubai, UAE – 5 August 2015: Emirates, a global connector of people and places, has today announced a new codeshare agreement with Thailand-based Bangkok Airways, a regional boutique airline, which is set to open up new destinations for Bangkok Airways and Emirates passengers from Europe, Australasia and South-East Asia regions. The new agreement will see Emirates’ code added to 19 Bangkok Airways routes across a number of Southeast Asian cities, adding a total of 14 new destinations to the Emirates global network and seamlessly connecting customers to new tourist destinations such as Koh Samui and Chiang Mai in Thailand, Siem Reap in Cambodia, and Yangon and Mandalay in Myanmar. Passengers travelling to Bangkok Suvranabhumi, Phuket, Kuala Lumpur and Singapore will be able to take advantage of Bangkok Airways codeshare routes. This agreement also offers a choice of stopover in Hong Kong, Kuala Lumpur, Singapore and Phuket for Emirates passengers travelling to and from Koh Samui. The Bangkok Airways flights will seamlessly connect with Emirates flights from Dubai and beyond, including European gateways, and will also provide increased connectivity for passengers from Australia and New Zealand. Thierry Antinori, Emirates’ Executive Vice President and Chief Commercial Officer, said: “Our new codeshare agreement with Bangkok Airways will provide our passengers with increased choice, flexibility and ease of connection to different cities across Southeast Asia to and from Dubai, ultimately offering a smoother, more convenient travel experience. “This is fantastic news for the Czech market as well, as Thailand is among the most popular destinations for Czech travellers throughout the year; they will certainly appreciate this new level of comfort and ease of connection to other destinations in Southeast Asia. We expect that the demand from Czech customers will continue to grow, and therefore it is important to continue to expand our services to make travelling accessible and easier for everyone,” said Borivoj Trejbal, Area Manager for the Czech Republic. Bangkok Airways operates 31 routes to 24 Asian airports. Emirates customers travelling on Bangkok Airways will enjoy the same luggage allowance they are entitled to on Emirates, checked through to their final destination. All Emirates’ passengers on Bangkok Airways flights will receive boarding passes on check-in at their first international departure point for connecting international services. 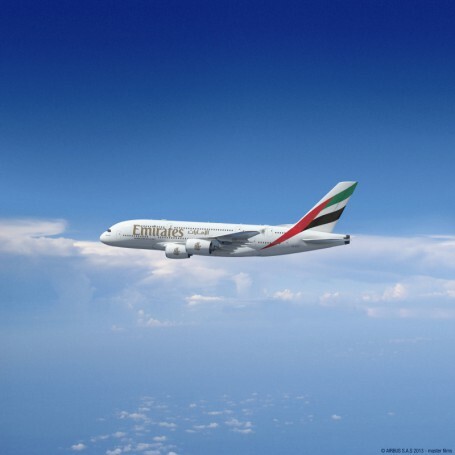 Emirates currently has codeshare agreements in place with 15 partners around the world. With the new codeshare partnership with Bangkok Airways, Emirates customers can now enjoy connectivity to 104 destinations in Asia Pacific, including those offered by Qantas and Jetstar.